The early 1800's saw times of poor sanitation in England. Rats soon became a health menace and rat killing became a very popular sport. In 1835, the Parliament of the United Kingdom implemented a new law called the Cruelty to Animals Act of 1835, which prohibited the baiting of some animals such as the bull, bear and other large animals. However, rat baiting was not enforced and ratting competitions came to the forefront as a gambling sport. At one time in London there were at least seventy so-called "rat pits". A combination of the quickest time, the number of rats and the dog's weight decided the victory. A rate of five seconds per rat killed was considered quite satisfactory; fifteen rats in a minute was an excellent result. Consider catching, lifting, biting-to-death and dropping a rat within four seconds and seizing the next one while the first is falling to the ground. In addition, the cornered rats will attack and can deliver a very painful bite. It was not uncommon to see a ratter left with only one eye in its retirement. But before the wonderful contest could begin there was a requirement for the capture of potentially thousands of rats. The rat-catcher would be called upon to fulfill this requirement. 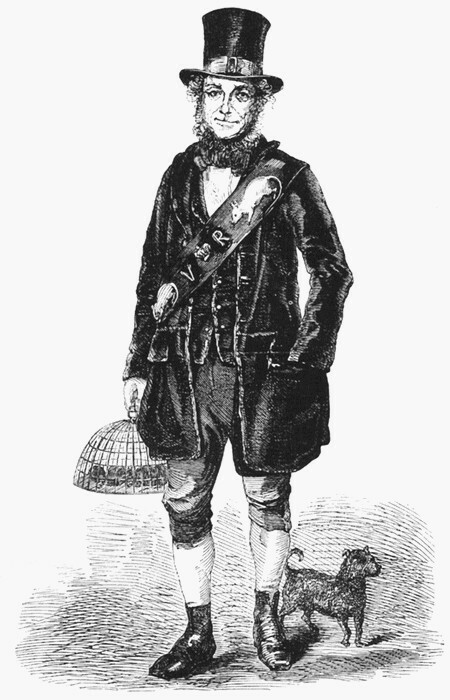 A famous rat-catcher from Victorian England was Jack Black. Jack Black was a rat-catcher and mole destroyer by appointment to Her Majesty Queen Victoria during the middle of the 19th Century. Jack cut a striking figure in his self-made "uniform" of scarlet topcoat, waistcoat, and breeches, with a huge leather belt inset with cast-iron rats. Jack is known particularly through Henry Mayhew's account in "London Labour and the London Poor, Vol. 3", where he tells Mayhew of his work and experiences, including a number of occasions when he nearly died from infections following rat bites. When Jack caught any unusually coloured rats, he bred them, to establish new colour varieties. He would sell his home-bred domesticated coloured rats as pets to "well-bred young ladies to keep in squirrel cages." Beatrix Potter (she wrote The Tale of Peter Rabbit) is believed to have been one of Jack's best customers, and she dedicated her book Samuel Whiskers to her pet rat of the same name. The more sophisticated ladies of court kept their rats in dainty gilded cages, and even Queen Victoria herself kept a rat or two. It was in this way that domesticated—or fancy—rats were established. Being English, rich and royal back in the day was all about rats and pit bulls. Black had a number of other ways he made money aside from collecting rats for the rich and Queen. Oddly enough, Jack was also an accomplished dog breeder; breeding rat-killing dogs. He bred dogs to kill the rats he caught. It was a supply and demand business. “This was a rather dirty, small place, in the middle of the Cambridge Circus, London. You went down a rotten wooden stair and entered a large, underground cellar, which was created by combining the cellars of two houses. The cellar was full of smoke, stench of rats, dogs and dirty human beings as well. The stale smell of flat beer was almost overpowering. Gas lights illuminated the centre of the cellar, a ring enclosed by wood barriers, similar to a small Roman circus arena and wooden bleachers, arranged one over the other, rose stepwise above it nearly to the ceiling. This was the pit for dog fights, cockfights and rat killing. A hundred rats were put in it, large wagers went back and forth on whose dog could kill the most rats within a minute. The dogs worked in exemplary fashion, a grip, a toss and it was all over for the rat. Since the combination of the quickest time and the number of rats killed decided the victory, naturally, faster dogs were preferred. Rat killers bit but once. The process was described as "rather like a sheepdog keeping a flock bunched to be brought out singly for dipping," where the dog would herd the rats together, and kill any rats that left the pack with a quick bite. The Bull and Terrier is a cross between the Old English Bulldog and the Old English Terrier. The precise result of selective breeding solely for the purpose of dog fighting and baiting. The Bull Terrier is the only recognised breed with triangular eyes. Their most distinctive feature is their head, described as 'egg shaped' when viewed from the front, almost flat at the top, with a Roman muzzle sloping evenly down to the end of the nose with no stop. An actual egg head. Fox Terrier and Rat Terriers both have rich and varied backgrounds as all-around farm dogs. Traditionally more of a type than a breed they share much ancestry with the tough little mixed breed dogs known as 'feists.' I know the pic is gnarly, but with a name like "Rat Terrier" what did you expect? The Jack Russell Terrier is a working terrier. Terrier work requires a dog that will bark at prey so that the dog can be located underground and be dug out if necessary. Jack Russell Terriers are also very intelligent, high-energy dogs – requirements of a working dog which must problem-solve in the field and work tirelessly against often formidable quarry. Due to their compact size, friendly and inquisitive nature, and intelligence, Jack Russells are popular as pets. The Manchester Terrier is the O.G. rat-killer. John Hulme, an enthusiastic devotee of the sport of rat killing, crossed a Whippet to a cross bred terrier to produce a tenacious, streamlined animal infinitely suited to the sport. This cross proved so successful that it was repeated, resulting in the establishment of a definite type -- thus the Manchester Terrier was born. Manchester Terriers are often mistaken for miniature Doberman Pinschers. The Staffordshire Bull Terrier is a medium sized, short coated, old time breed, like all these guys, originally bred for fighting. In the early part of the twentieth century they gained respectability and were accepted into the Kennel Club of England as the Staffordshire Bull Terrier. Bold, inquisitive and fearless, these guys are the dogs amongst dogs, with indomitable courage, high intelligence, and tenacity. Like a cannonball, with four legs. The degree of care used in breeding all of these "ratters" is clear in their pedigree with good breeding leading to increased business opportunities. Successful breeders were highly regarded and famous back in those times. A celebrated Bull and Terrier named "Billy" weighing approximately 26 pounds, had a proud fighting history. In 1823, Billy killed 100 rats in 5 minutes. “Thursday night, Oct. 24, at a quarter before eight o'clock, the lovers of rat-killing enjoyed a feast of delight in a prodigious raticide at the Cockpit, Westminster. The place was crowded. The famous dog Billy, of rat-killing notoriety, 26 lb. weight, was wagered, for twenty sovereigns, to kill one hundred rats in twelve minutes. The rats were turned out loose at once in a 12-feet square, and the floor whitened, so that the rats might be visible to all. The set-to began, and Billy exerted himself to the utmost. At four minutes and three quarters, as the hero's head was covered with gore, he was removed from the pit, and his chaps being washed, he lapped some water to cool his throat. Again he entered the arena, and in vain did the unfortunate victims labour to obtain security by climbing against the sides of the pit, or by crouching beneath the hero. By twos and threes they were caught, and soon their mangled corpses proved the valour of the victor. Some of the flying enemy, more valiant than the rest, endeavoured by seizing this Quinhus Flestrum of heroic dogs by the ears, to procure a respite, or to sell their life as dearly as possible; but his grand paw soon swept off the buzzers, and consigned them to their fate. At seven minutes and a quarter, or according to another watch, for there were two umpires and two watches, at seven minutes and seventeen seconds, the victor relinquished the glorious pursuit, for all his foes lay slaughtered on the ensanguined plain. Billy was then caressed and fondled by many; the dog is estimated by amateurs as a most dexterous animal; he is, unfortunately, what the French Monsieurs call borg-ne, that is, blind of an eye.-This precious organ was lost to him some time since by the intrepidity of an inimical rat, which as he had not seized it in a proper place, turned round on its murderer, and reprieved him by one bite of the privilege of seeing with two eyes in future. The last public rat competition took place in Leicester, England in 1912. The owner was prosecuted, fined and had to give a promise to the court that he would never again promote such entertainment. 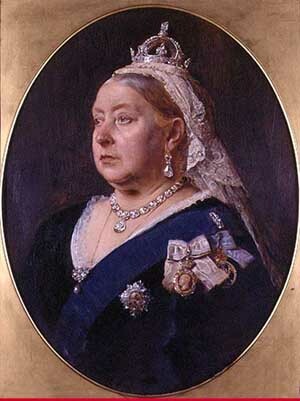 Toward the latter half of Queen Victoria's reign, a more humane attitude to the canine race gradually emerged, with her Majesty's love of animals setting the example. Baiting sports diminished in popularity and the exhibition of dogs slowly replaced the attractions of the dog pit. sliders1Thanks so much for this article! I really enjoyed it.